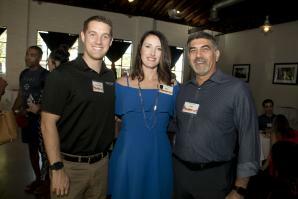 On August 9, Comstock’s magazine held their quarterly client appreciation night at Mulvaney’s B&L. Clients were treated to a pre-show dinner and reception. 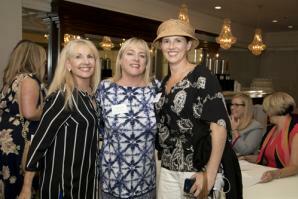 On Aug. 16, the Alliance for Women in Media held their August luncheon at Arden Hills Resort Club and Spa, in Sacramento. Mike Testa, CEO of Visit Sacramento, joined Wes Rhea, CEO of Visit Stockton, for a panel on city identity, attracting new business and becoming a tourist destination. Alliance for Women in Media is the oldest professional association dedicated to advancing women in media and entertainment in the nation; the Sacramento chapter was established in 2012. 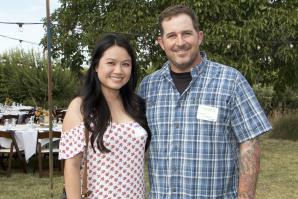 On June 24, more than 300 guests and volunteers gathered for the third annual Summer Solstice Dinner & Auction, to benefit the American River Parkway Foundation. Proceeds supported the Parkway Foundation’s programs and efforts to maintain and improve the American River Parkway, including a portion dedicated to youth STEM education through the Campfire Outdoor Education Site. On July. 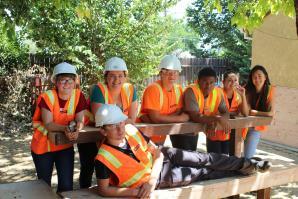 28, students participating in the Sacramento Region Builders Exchange 2017 CREATE Summer Academy presented their summer project to GreenTech Education. To celebrate the opening of the Wide Open Walls Mural Festival, a VIP Condensed Gallery Reception and Artist Meet and Greet was held on Aug. 11 at Beatnik Studios in downtown Sacramento. Guests and patrons were able to meet the artists participating in the festival and purchase commemorative items and art. 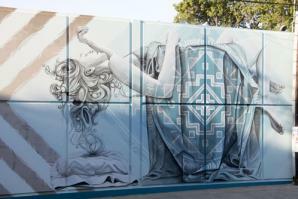 Wide Open Walls is a Sacramento-based mural festival, from Aug. 10-20. 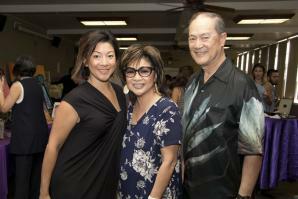 On July 12, My Sister’s House celebrated their annual “Art with a Heart” fundraiser at the Sierra 2 Center. Proceeds from the evening will help My Sister’s House provide services to Asian and Pacific Islander and other underserved women and children impacted by domestic violence, sexual assault and human trafficking by providing a culturally-appropriate and responsive safe haven, job training and community services. On July 15, the Center for Land-Based Learning, in partnership with Nugget Markets, presented their annual Dinner on the Farm in Winters. The annual event is one of two fundraiser dinners that benefit the CLBL in their mission to inspire, educate and cultivate future generations of farmers, agricultural leaders and natural resource stewards. 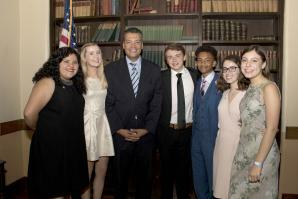 California YMCA Youth & Government’s 70th annual Youth Governor Inaugural Ball was on June 6, at the Sutter Club. Youth Governor Cole Cahill was sworn in and special tribute was given to guest speaker, California Secretary of State, Alex Padilla. The evening’s festivities included a VIP Reception, dinner, dancing and an exclusive live auction. 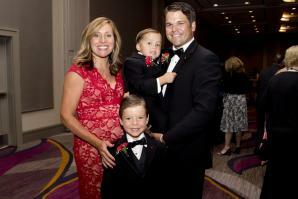 The Leukemia & Lymphoma Society celebrated their 21st anniversary on June 17 at the Hyatt Regency. 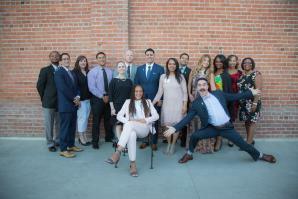 Each year, dedicated candidates across the community engage in an exciting competition to earn the LLS’s Man & Woman of the Year titles.